"...On another Roer footbridge lies the body of an American soldier who was hit by German mortar-shell fragments when he was only 50 feet from east bank..."
The photo above was taken by LIFE Photographer, George Silk and was published in LIFE on March 12, 1945 Vol. 18 No. 11., pp. 25-29. 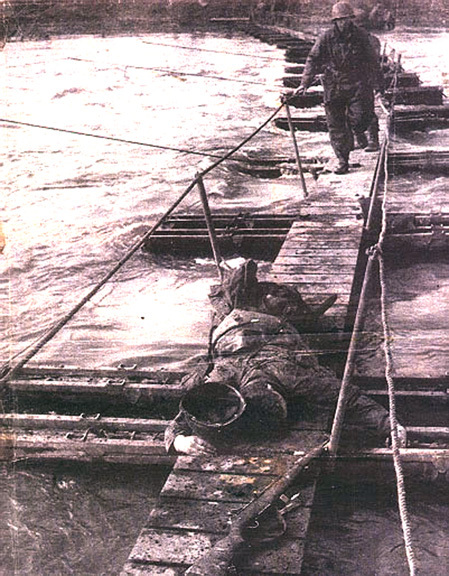 The article accompanying this photo (and the remaining photo series) was about the Roer River Crossing which took place in the early morning hours of 23 February 1945. This river crossing, which was a major campaign in Europe, received little coverage in the States due to an ongoing battle which was taking place on the other side of the world on the small island of Iwo Jima. 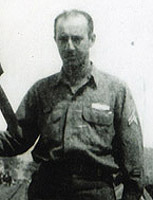 The photo above is unique in that years after the war, the soldier who is approaching the fallen American soldier on the footbridge was identified as: Stephen F. Tobia. If you wish to view the article and other images you can do so at the following link on this web site. 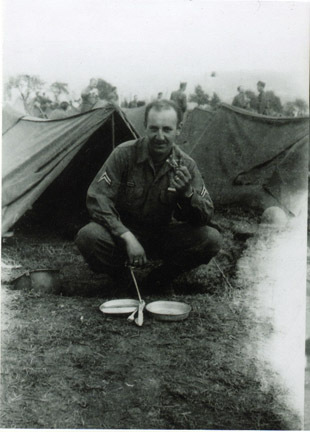 "...Thank You for your E-Mail About the Mr.George Silk Photograph regarding my late uncle, Stephen F. Tobia. One of his children is Dr. Frances Tobia who lives in ------. My Cousin Frank was unaware of the photograph and only recently learned about it when his dad passed away in March. I learned of the photograph from my dad in the early or mid 1970's when a book entitled "The Best of Life" was published shortly after the original weekly version of Life Magazine went out of print. My brother and I purchased the book for Dad as a Christmas present and when he was enjoying the book he recognised the photo immediately. A copy of the photo is on page 168 of "The Best of Life", but the top of the image and the photo's left border are missing, when compared to the version on your website. However, the clarity of the photo is better in "The Best of Life". In any event my uncle's head is excluded in the photo on page 168. My uncle was a very modest man, a pharmacist by trade. 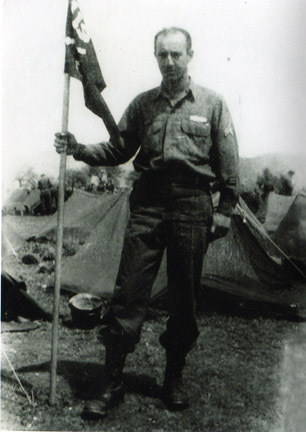 He fought in the Battle of The Bulge but would almost never speak of his military experiences. About 5 or 6 years ago, just after his wife (my Dad's sister) passed away, I had asked him about the photo. He acknowledged "there was something" but said he didn't remember that much about it and the conversation ended there. My cousin Frank may be able to help you with information about my uncle. He has some of his Dad's military records and is himself seeking more information about his Father. Your communication with both of us is appreciated. John J. Caruso, Jr., M.D." 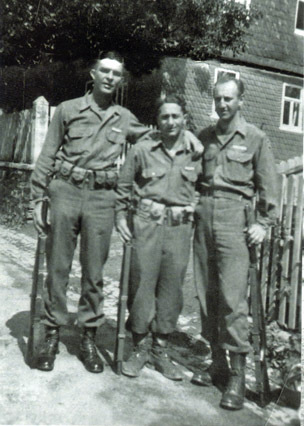 Photos of Stephen F. Tobia and some of his buddies. Location and dates are unstated. Civilian Occupation Prior to Induction: Assembler Aerial Cameras. 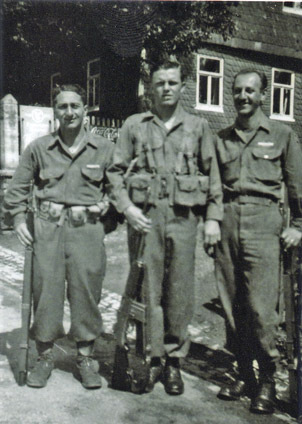 Information and photographs were generously provided to World War II Stories -- In Their Own Words by Dr. John J. Caruso, Jr., M.D., and Francis S. Tobia, D.C. Our sincerest THANK YOU is exteneded for allowing us to share their stories! Original Story submitted on 2 August 2006. 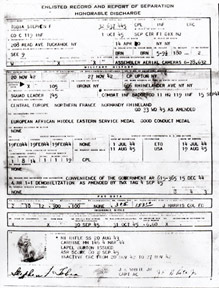 Story added to website on 4 August 2006.